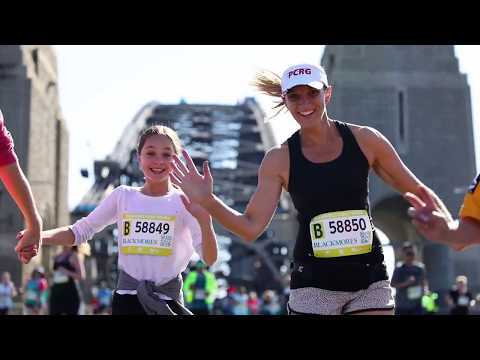 Registrations are now open for the 2018 Blackmores Sydney Running Festival on Sunday 16 September 2018 with more than 33,000 entrants expected to run the scenic courses and across the world famous Sydney Harbour Bridge – traffic free. The Blackmores Sydney Marathon, Blackmores Half Marathon and the Blackmores Bridge Run, now in its second year as a 10km event, finish at the iconic Sydney Opera House. The ever-popular Blackmores Family Fun Run finish line will return to the Sydney Conservatorium of Music in 2018. Post-event, all entrants along with their family and friends are invited to celebrate in the Blackmores Recovery Village, located within the Royal Botanic Gardens providing spectacular views of Sydney’s picture perfect harbour. The Blackmores Sydney Running Festival has raised almost $20M for Australian charities since its inception and the 2018 event will see the Breast Cancer Network Australia and Beyond Blue as the headline charities with more than 100 other official charities to be supported by people taking part in the iconic event. Participants are encouraged to take advantage of the Run for Free promotion, which enables runners to claim a rebate on their entry fee when they raise more than $500 for one of the official charities. To take part in the Run For Free promotion, register for your chosen event and select your preferred charity from the list. Once registered, follow the prompts to set up your official fundraising page. The flagship event of the festival – the Blackmores Sydney Marathon is officially recognised as a world leader in marathons having being awarded a Gold Label by the International Association of Athletics Federations. The event is the only marathon in Australia to be broadcast live nationally on Network Ten and internationally on Eurosport Asia and free to air television channels in both Japan and China. The Blackmores Sydney Running Festival is supported by the NSW Government via its tourism and major events agency, Destination NSW. Register now to secure early bird prices and your place on the start line on Sunday 16 September 2018 @sydneyrunningfestival.com.au. Want to stay up to date with what’s happening with the Blackmore Sydney Running festival?